I love wall stickers, but never got around in buying any. Luckily, we were kindly asked recently to review a personalised wall sticker. I do think I should have chosen different fonts as I found it very difficult to stick on the wall as the letters were flopping everywhere! I know the letters aren't very straight and they're a bit wonky. However, I was tired when I was sticking it on as it was in the evening but I knew I wouldn't have peace doing it with the girls awake. From afar it does look ok, and doesn't look wonky! I've had a lot of comments from people about how nice the wall sticker is! Many love the quote that I have chosen. Overall I did find it quite difficult to stick on the wall, but it is worth it in the end once its up and looking nice! 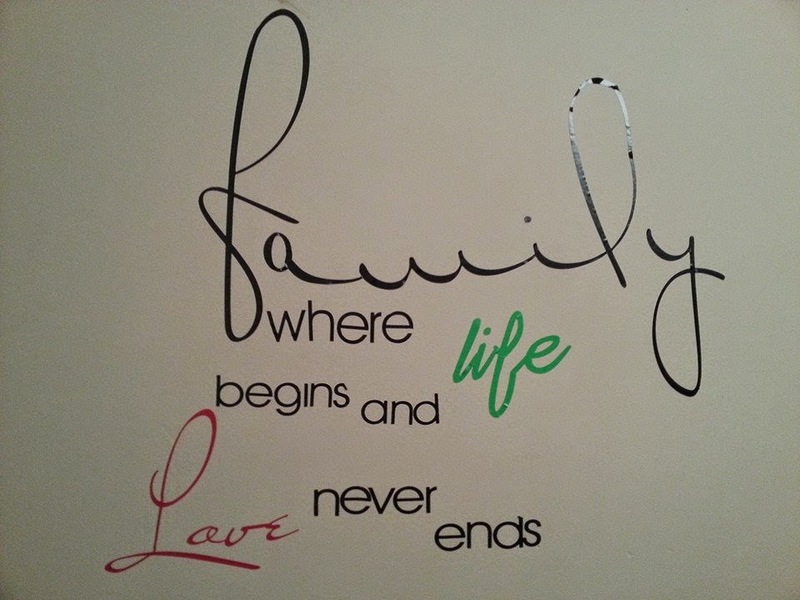 You can get your own personalised wall stickers at BannerBuzz with prices starting from £6.99! * I was given this product free of charge in return of an honest review. All words, photos and opinions are my own.